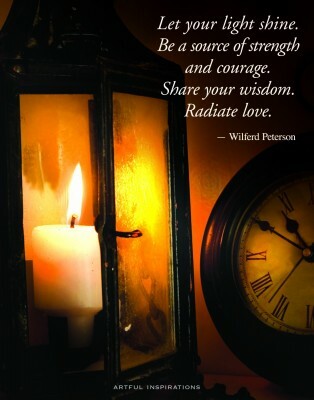 Over time, fear, exhaustion and shame can dim the brightest of lights, and that is why you must, at all times, do what you can to keep that flame inside burning bright, choose the path of light and love, and allow your brilliance to be seen. Fortunately, there are plenty of tools that you can use to rekindle your spark every day, and here are just a few to help you out. Sweating and moving for just 20 minutes a day has been clinically shown to improve your mood and boost your health. Try a yoga class, ride your bike around town, or go for a swim, and you’ll easily chase away the grumps. Spending time in silence reconnects you with your source of self-awareness, self-assuredness and happiness. It’s also been shown to greatly reduce stress and improve communication. What can YOU do to shine a little brighter TODAY?